Dr. Malitha Wijesundara obtained his Bachelor of Engineering degree with Honours in Electronic Engineering from the University of Warwick, United Kingdom in 1998. He was then offered a scholarship by National University of Singapore, where he completed his PhD in year 2005. Upon completion of his PhD he joined SLIIT where he currently holds the position of Dean – Education & Student Experience. Prior to this, he has held positions of Dean – Academic Affairs and Dean – Faculty of Computing at SLIIT. He is also a visiting professor at the Department of Electrical and Computer Engineering at University of Rochester, New York, United States. His research interests includes, wireless sensor networks, distributed storage, IT Governance and e-learning. 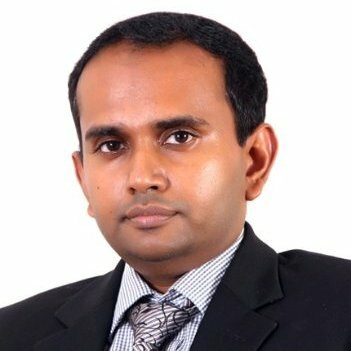 He is a member of the Computer Society of Sri Lanka where he has been in the executive council for two years prior to this. He was instrumental in introducing the CSSL certification based on SFIA skills framework to CSSL membership, in partnership with Australian Computer Society. He is also in the Advisory Board of the Information Security and Digital Forensics Research Foundation (ISDFRF) of USA. He is a Certified Information Systems Auditor and a member of IEEE, IET and ISACA. He has industry experience both in the state and the private sector as a technical consultant.